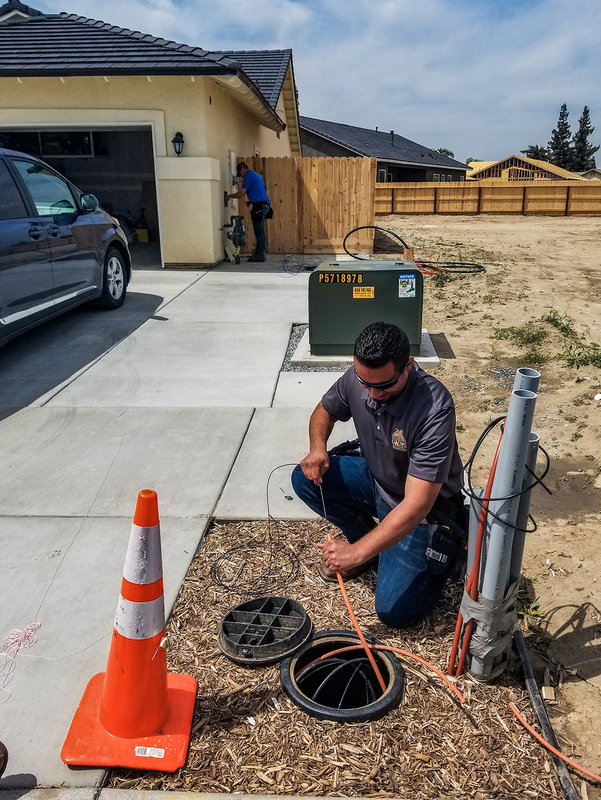 A lot has happened since August, when we announced our plans to deploy Fiber Internet to the Porterville area and we wanted to give everyone an update! The first phase of this project resulted in nearly 3 miles worth of fiber laid underground that extended to the south west side of Porterville. The construction phase was completed on December 31st and soon after, we began the second phase of our build-out. The fiber deployment to the southwest part of town allowed us to create 20 separate Service Zones that would soon be available to get Fiber Internet service. Each zone allows individual neighborhoods to sign up for service and once enough interest is generated by those that live in the area, we will be able to begin construction and begin serving them. The second phase of our build-out expanded back towards the center of Porterville where we opened up five additional Service Zones. If you are interested in getting Fiber Internet in your neighborhood, visit www.oacysfiber.com and fill out a survey. These surveys are how we decide which neighborhoods will get service first! The fastest way to get service in your neighborhood is to tell your neighbors and make sure they fill out a survey too! Be sure to sign up as a neighborhood champion, we have flyers, business cards and door hangers you can pass out to those who live near you. The best part about our champion service is that not only can you help get Fiber into your neighborhood sooner, but you’ll also get discounts on the installation! Our second phase of construction is due to be completed around the end of March. Follow us on Facebook and Instagram to stay in the loop on all the latest news and updates on the progress of this project. We will continue to announce new zones throughout Porterville where our Fiber Internet will be available next! 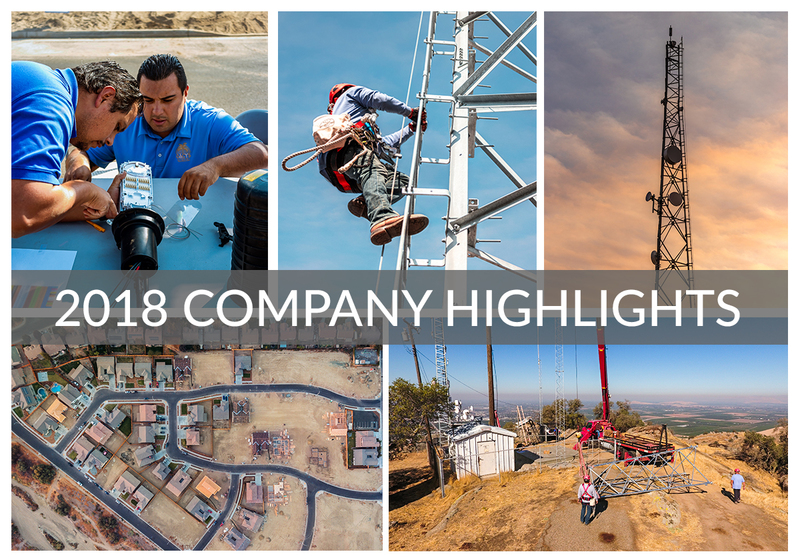 As we move into 2019, we wanted to give our customers a look back at some of our biggest highlights of 2018. We hope you enjoy taking a behind the scenes look at our busy and productive year! We are already looking forward at what we will have to highlight at the end of this new year. After completing an intense Tower Safety and Rescue class, we have multiple crews available for tower work that includes, but not limited to equipment installation, maintenance and emergency response. We knew Fiber construction was going to be a major emphasis on our year. With that being said, we knew we needed to make sure our crews that were going to be helping get our customers connected to the Fiber network were going to need extensive training. We met with several of our distributors and manufactures and held many hands-on training sessions, learning the ins and outs of the material and products we would be using. Rather than relying on outside contractors, we wanted to make sure we kept all our work inhouse so we could continue to provide the best possible service and customer support possible. With the addition of new tower sites, researching and deploying new equipment and technology has allowed us to bring higher speeds, more bandwidth and increased reliability to our customers. The deployment of this equipment is continuing daily and we are excited for what we have planned for the near future. Major upgrades took place at several tower sites in the past year that have increased the capacity to main tower locations. These upgrades have helped keep pace with the bandwidth increases and growing customer count. Coupled with new tower locations, equipment and now increased capacity at our tower locations, plans are already taking place to deliver higher speeds and more bandwidth to our customers. DattoCon, a Manager Service Provider Conference, was an opportunity for OACYS technicians to learn from and network with other MSP’s and vendors regarding Managed IT. It provided our technicians with training on how to best utilize the tools they are currently using as well as educate them on up and coming technology that improvement management of customers’ networks. Our management team attended the annual Wispalooza conference in Las Vegas, that is hosted by WISPA (Wireless Service Providers Association). Service providers and manufactures that support fixed wireless broadband including equipment suppliers, support services, and other components needed to run a successful business come together to discuss the latest technology and updates in the industry. We always want to make sure we are providing the best possible service to our customers by staying up to date with the latest technology and regulations within our industry. At the end of 2017, we found a new subdivision being built on the southwest side of town. We decided it would be a perfect opportunity to build out our “fiberhood”. As utility trenches were opened up, we ran conduit along the streets, and micro-conduit directly to every lot in the neighborhood. 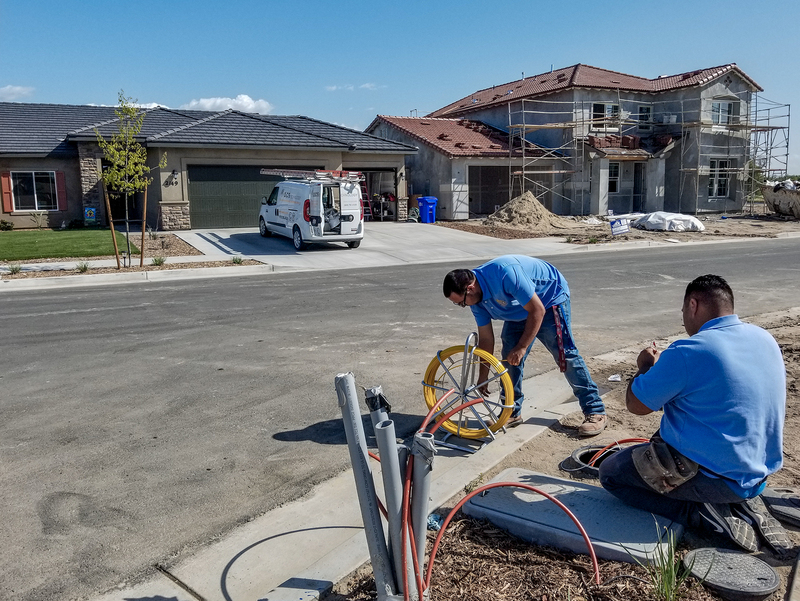 As the houses were being finished, new residents had access to Porterville’s first FTTH (Fiber to The Home) Internet connection. Our goal of making Summit Estates II as the first of many Fiberhoods in Porterville was accomplished. Keeping with the “construction” theme for the year, we completed a new and improved tower in Exeter on Rocky Hill. This new tower location increases the quality of service in the area, gives us more capacity and stability to our service area in Exeter and the surrounding areas. It also allowed us to increase our capacity to surrounding microsites, which in return, improved the capacity and stability to our customers that weren’t directly connecting to our tower site on Rocky Hill. In June, ground broke for the first major leg of our Fiber infrastructure around Porterville. Nearly 3 miles of underground fiber would be run from our office on Porter out through the southwest part of Porterville. This is the first step to building a full Fiber network around Porterville, which will allow us to deploy speeds of 1000Mbps or higher to neighborhoods throughout the city. We aim to do further similar projects in the near future in order to provide service into new areas. On August 1st, our plans to deliver Fiber Internet in Porterville was formally announced to the public. We had been putting the plans in motion well in advanced and the excitement and anticipation of revealing our plans to the public was hard to contain. As soon as we broke the news, we could see that the public was just as excited us, to have a local company investing in the community to bring the best Internet connection available to the area. This is the dawn of a new era for new possibilities that Fiber Internet means to our local community and our excitement and dedication to be able to bring this type of service to Porterville is sky high! In 2019, we are looking forward to continuing the expansion of our Fiber Internet deployment, alongside the other services we are offering throughout our local communities. 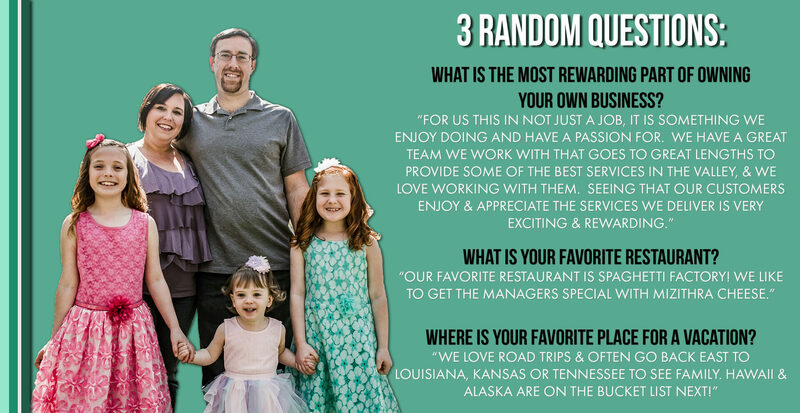 Employee Spotlight Series – Meet Michael! Michael was hired last month and was brought on to be part of our Wireless Field Service team. With a history of working as part of a customer service team and field work as a technician, we felt like Michael would be a great fit on our team. As a member of our Field Service department, he will be tasked with installing wireless Internet service, troubleshooting connections and upgrading customers equipment to the newest models. He has been eager to learn from the rest of our team members and continues to jump in without hesitation to continue learning the ropes. A friendly and polite attitude like Michaels is always a welcomed addition to our team. We strive to make sure our customers are taken care of and we feel that Michaels attitude will fit in well with that mentality. We look forward to seeing him continue to learn and grow within the company and see what the future holds for him here. Outside of work, Michael’s main focus is on the well being of his family. 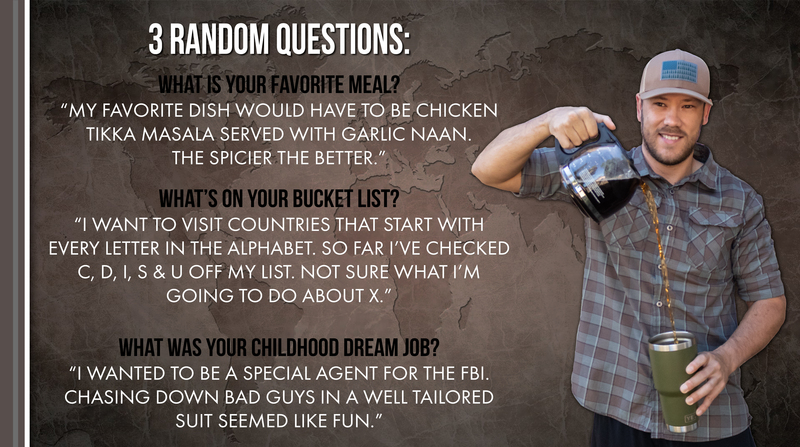 He enjoys exploring with his wife and son, making sure to stop along the way to try fancy and interesting food. While at home, Michael takes his interest in food, into the kitchen where he really enjoys cooking. Spending time watching his favorite TV shows and movies or playing basketball with his friends is another way he likes to unwind and enjoy his time out of the office. Jose joined our Field Crew team at the beginning of 2017 and quickly showed us why he was going to be a great addition. From the start, his strong work ethic and reliability were easy to recognize. He quickly picked up on the skills needed to get customers installed with our wireless Internet service. Jose has steadily progressed in troubleshooting Internet connection issues, configuring home networks and conducting site surveys. His easy going and polite personality has always been appreciated with our customers, as they can tell he cares that their needs and interests are being taken care of. Jose continues to show growth in the field on a daily basis and is ready for more responsibilities. He’s been a great addition to not only our Field Service team, but to the company as a whole. We are excited for what the future holds for Jose here at OACYS. Outside of work, Jose spends much of his time with his wife and 3 young children. Originally from Argentina, Jose grew up playing and watching soccer and baseball. He played both sports in high school at Monache and still follows the Argentinian sports team and the NY Yankees. His biggest passion however is music. He grew up around a family full of musicians and has enjoyed playing the drums and guitar since his childhood. Employee Spotlight Series – Meet Crystian! Crystian has been with OACYS since 2007. He started as a wireless field technician installing client radios on a daily basis. As the company grew, Crystian advanced quickly as he worked on tower projects and in short order took on the responsibility of Tower Operations Manager to oversee the large network of radios used to serve wireless Internet across the valley. He is also the OACYS Field Ops Manager, supervising our install crews as well as tower crews. Chris is a very sharp technician, and in addition to all of the above responsibilities he is a Senior Network Engineer that sets up and works with all of our core routers and switches. When there is a problem that can’t be resolved by the rest of the team, Chris dives in and quickly gets to the bottom of the issue to get it resolved. Chris is a great asset to our company in many different ways, and we look forward to at least another 11 years with him in our management team. Outside of work, Crystian’s hobbies and interests usually include his wife, son and extended family. He likes having his family over to enjoy game nights, playing soccer and volleyball together and of course BBQ. While he’s busy mixing new spices together for a new rub, he’s cheering on the SF Giants. When time permits, Crystian and his family enjoying heading out of town to San Francisco to catch a game in person and enjoy walking around the city. Employee Spotlight Series – Meet Ava! In February of 2017, Ava joined our team as a customer service representative. Ava came with little experience in the technology world but it wasn’t long before she was answering phones and helping customers with whatever need they had whether it be taking payments or troubleshooting an Internet issue. Ava has proved to be a great asset to the company, she is always up to the challenge of learning new things and helping out wherever she is needed. She is great at multitasking. Aside from her duties in customer service, she also works in the accounting department and has taken on many tasks such as processing paperwork that comes in from service calls to new installs. She also helps out with invoicing, processing payments and keeping account information up to date. We are glad to have Ava as part of our team and look forward to seeing her advance in the years to come. As a mother of two young children, it is no surprise that life outside of the office revolves around her family. She loves spending time with her son and daughter, watching them get bigger by the day. Between chasing them around and busy days at the office, Ava enjoys being able to catch up on her favorite shows or enjoy some quiet time reading. Between a good show or a good book, a little quiet time to herself allows her to relax and unwind. Employee Spotlight Series – Meet Martin! Martin has been with OACYS for almost 3 years, and since that time he has risen from a consulting technician into our Consulting Services Manager. He started at OACYS with a good background in IT and phone service, and quickly learned OACYS services and our “go the extra mile” philosophy. He works directly with our business clients daily to keep their servers and networks running smoothly, while also coordinating his consulting crew and providing them the support they need to resolve any problem at client locations. Martin also oversees our voice service department, ensuring our Hosted Voice clients have a phone solution customized to their business needs. Martin is a key member of the OACYS team and management, and we look forward too many more years of his excellent work ethic. When Martin gets some much-deserved down time, his favorite thing to do is spend time with his daughter and family. When he has time for a little adventure, his go to spot is in the mountains. You can count on finding him up there during hunting season or shooting with his friends in order to get ready for the season. If he isn’t in the mountains shooting, there’s a good chance he’s out on the golf course hunting birdies.